My mom used to always say, "when the student is ready, the teacher will appear." This isn't really a student/teacher scenario, but I was searching for a zero waste conditioner when it nearly fell into my lap. As you may know I am working on getting my shower plastic free. I now use a shampoo bar and switched to bar soap. Conditioner, however, was a bit more elusive for me. At first I had just purchased a huge container of conditioner and I didn't want it to go to waste. Then I made a trip to Lush and found out about their conditioner bar. It was ok, but not really what I was looking for. To be honest I haven't even finished the bar. I then was using apple cider vinegar as a conditioner. It was working fine, but Hubby was not a fan of the smell. I'll say that it doesn't really smell once rinsed and dried on your hair. 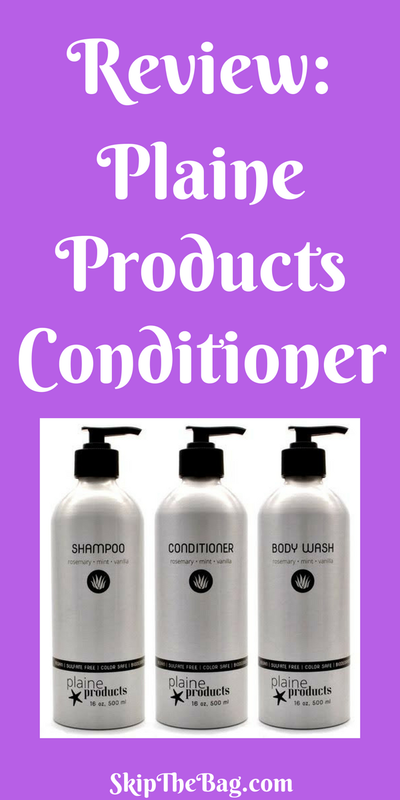 But it does smell like vinegar while applying it and can smell while your hair is a little damp, especially if you don't rinse it thoroughly. So I had my eyes and ears out for another alternative. 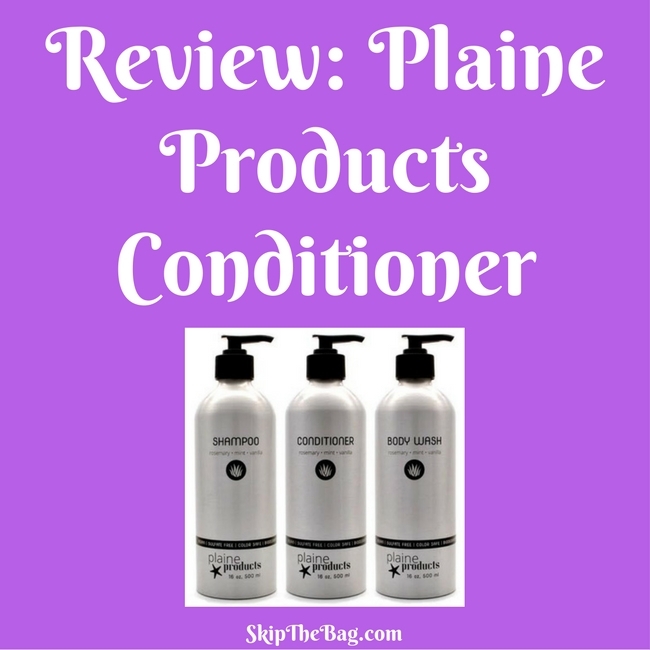 That's where Plaine Products comes in. I was given this conditioner to review and they sponsored the Earth Day Giveaway for their three pack of shampoo, conditioner and body wash. I'll also note that links to Plaine Products are affiliate links where I receive a commission if you purchase an item (thank you! ), but the price to you remains unchanged (privacy and disclosure). Their commitment to reducing plastic waste from production to shipping is what first hooked me. Their containers are aluminum which can be refilled. This is huge. There is so much energy production surrounding the production and recycling of containers. By being able to refill them this is a huge win. Don't worry, they are cleaned and sterilize them before sending them on their way again. Finally since their containers are made of aluminum they are able to be fully recycled. As you may remember that plastic containers can really only be downcycled. Next their packaging is rather unique. It is made from 95% post-consumer waste and 5% post-industrial waste. That means no new materials go into making the boxes! 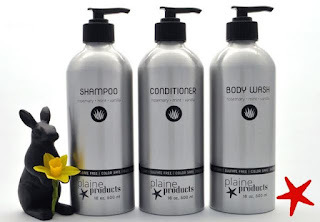 Since the containers are refillable Plaine Products wants them back. So when they send you a new one, you keep the box and ship back the empty one at no cost to you. 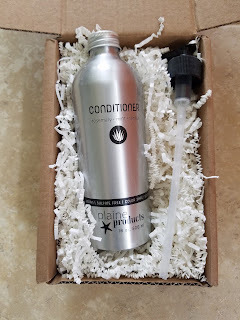 So up until now I've been bragging about how great their concept is, but now that I've been using their conditioner for a little while, how do I like it? I think it is great too! Their products are vegan, organic, sulfate and paraben free. So all the things you would want in a product. The conditioner smells great and has made my hair happy. I think my hair is looking better than normal with less fly aways. Someone even asked if I'd gotten my hair done. Hubby is probably most excited for the change. He's far more happy with rosemary vanilla mint scent. One day I thought it was making my hair a little greasy, but it turns out, it was due to the other product that I was using. I had been using CHI Total Defense Lotion to help moisturize and protect my hair. I love that product, but I was feeling guilty since it's plastic. However since using the conditioner I don't need to use it. What a win-win. One less product I need to use and that much less plastic being produced and wasted. 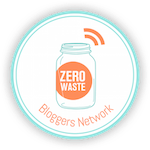 So I'm now in love with the zero waste refillable containers, their shipping practices, and their products. You should check it out for yourself! So there it is a great zero waste option for shampoo, conditioner and body wash. I suggest you try it out!